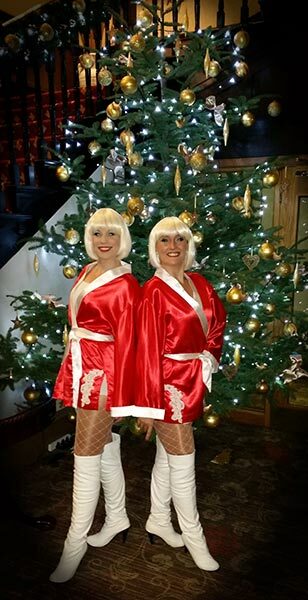 Are you looking for some Christmas themed entertainment this year? 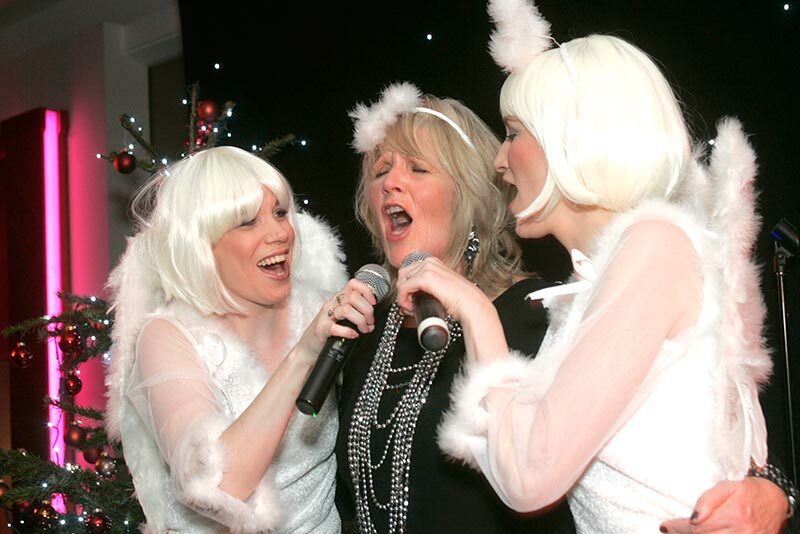 Whether you're organising a Christmas party in a hotel or restaurant or holding an event to turn on the lights in your local town or shopping centre - no matter what the setting, we promise to liven things up and get you all into the festive spirit! 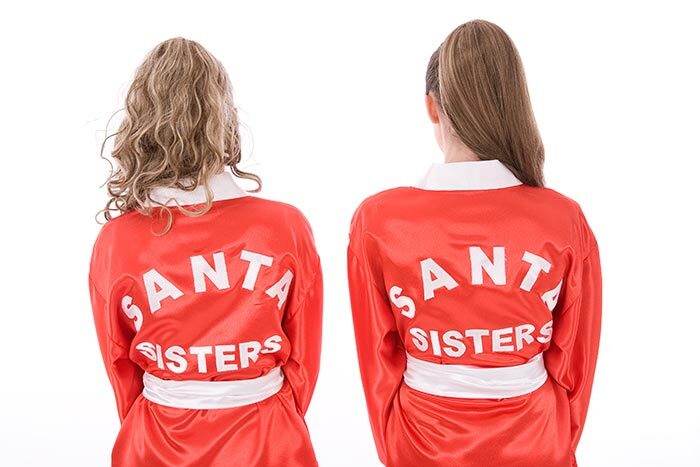 Our Santa Sisters show is the perfect addition to any Christmas celebration! 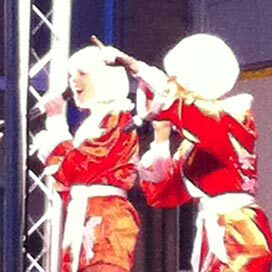 For over 5 years, we have entertained thousands of people across the UK with our high energy and interactive show.....With fantastic, festive costumes, fun filled dance routines and just the right amount of audience participation we'll perform the most popular Christmas hits as well as classic dance floor fillers from across the decades! 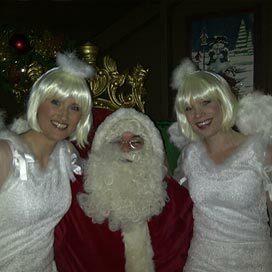 Book early to avoid disappointment and we will make this Christmas one to remember! 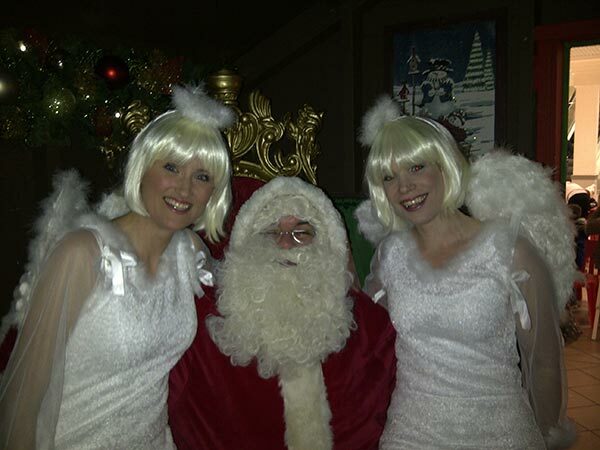 Santa Sisters is available as a duo or trio to professionally recorded backing tracks. We wanted to drop you a line to tell you what a superb job you did. People have been talking about your set and asking where I found you, it was a huge hit. 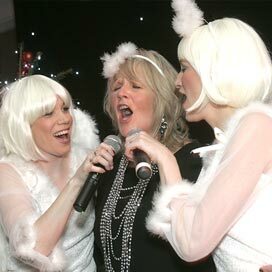 Thanks for allowing me to sing with you which is something I will carry with me and has meant lots of people saying they had no idea I could do that!!!! Yay! 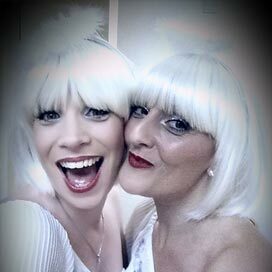 'Marry' Christmas girls. Wow what a show! 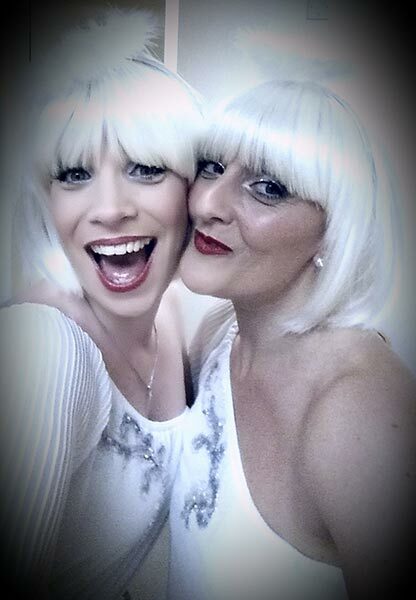 I've already had a lot of fantastic feedback you girls did a fantastic job. Thank you both so much. Lots of love & speak soon. Just a wee e-mail to say a big thank you for playing at my function. Everybody truly enjoyed the night and were full of praise all day today. 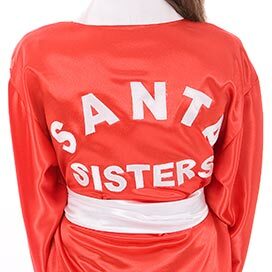 I will keep recommending the Santa Sisters to all my Soldiers and everyone I meet! You girls rule! Thank you very much.